The highest profile public policy debate in North Carolina in the summer of 2018 revolves around the controversial decision of state legislative leaders to place a package of six constitutional amendments on the November ballot. Just yesterday, all five living former governors of the state held an extraordinary press conference in which they decried two of the amendments as egregious and deceptively labeled power grabs that would fundamentally alter the balance of power in the state for the worse. Two other amendments in the package have been rightfully blasted for the destructive impact they would have on the fairness and adequacy of funding for core state services (the proposed income tax cap) and the right of hundreds of thousands of residents to vote (the voter ID amendment). One of the six amendments to receive comparatively less attention in recent weeks, however, is the proposal to establish a constitutional right “to use traditional methods, to hunt, fish, and harvest wildlife.” While many critics have derided the proposal as a blatant attempt to spur voter turnout this fall amongst conservative rural voters, substantive criticism of the amendment has been largely muted, with many critics simply arguing that the amendment is silly and unnecessary because it wouldn’t really change anything. These caveats would appear to place some meaningful limitations on the so-called “right” established by the amendment. After all, if the state will remain free to regulate hunting and fishing as it long has, then it’s not immediately evident what will change if voters were to approve the proposal. In effect, the amendment would be little more than an expression of opinion by voters, with no real world impact. One might as well establish a constitutional right to drive a motor vehicle. That being said, it’s also true that the overwhelming majority of Americans and legal scholars once held similar views of the Second Amendment to the United State Constitution – namely, that the “right” to bear arms was subject to the obvious limitation that Congress and state legislators remained free to enact laws to, among other things, regulate militias and protect public safety. Unfortunately, of course, this interpretation has been greatly undermined in recent years as what might be described as “Second Amendment fundamentalists” have pushed ever more aggressively for a rigid, absolutist interpretation. Could the same thing happen with respect to the hunting and fishing amendment? It seems at least worth noting that the two amendments share many of the same champions, including the National Rifle Association. What’s more, hunting and fishing amendment supporters have been quite open about linking the amendment to gun rights. And while the apparent limitation of being “subject” to laws and rules established by the General Assembly sounds significant at first blush, it also includes a potentially truck-sized loophole in that such laws must be exclusively for the purpose of promoting wildlife conservation and management and preserving the right to hunt and fish. What about laws or rules that are enacted in order to protect human life or wellbeing, like a ban on hunting with machine guns or silencers, or burning forests to flush out game, or even hunting in a state park? By a strict reading of the amendment language, such laws could be subject to court challenges by hunting supporters as unconstitutional. 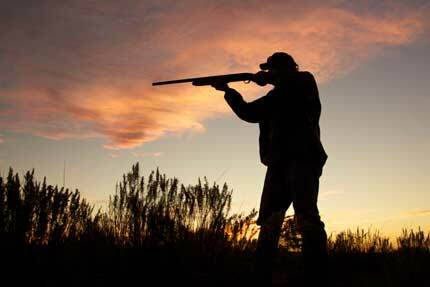 At a minimum, state lawmakers would now be subject to a new and strict test that would permit a close review of their motives every time they seek to regulate hunting and fishing. Add to this the proposal’s failure to define “traditional methods” of hunting and fishing and the vagueness of the proposed amendment becomes that much more maddening and problematic. Of course, the obvious preventative remedy to the amendment’s absurd lack of clarity and potential for abuse would and should have been a lengthy, deliberate legislative process that would have provided plenty of time for constitutional experts, scholars, interest groups, regulators, lawmakers of the minority party and the public at-large to weigh in. Unfortunately, that’s not how the Republican supermajorities in the North Carolina General Assembly rock in 2018. Instead, the six amendments were blasted through both houses in one week with a stunning lack of real analysis or debate and North Carolina now stands on the precipice of enshrining them in its fundamental governing law with no real clear idea of what they mean. Somewhere, P.T. Barnum is smiling. Rob Schofield, Director of NC Policy Watch, has three decades of experience as a lawyer, lobbyist, writer and commentator. At Policy Watch, Rob writes and edits daily online commentaries and handles numerous public speaking and electronic media appearances. He also delivers a radio commentary that’s broadcast weekdays on WRAL-FM and WCHL and hosts News and Views, a weekly radio news magazine that airs on multiple stations across North Carolina. Could slate of constitutional amendments backfire on the Right? Next article Will courts block legislative leaders’ desperate power plays?